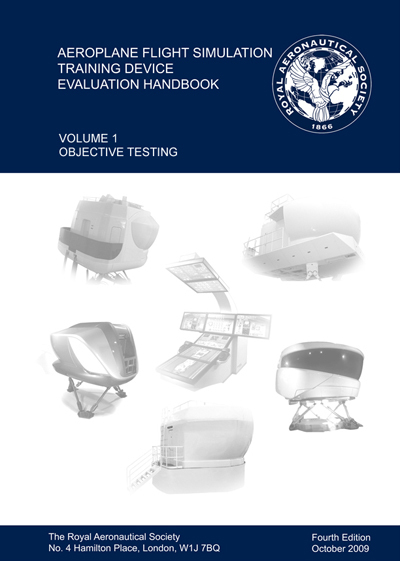 As a result of the recent changes to the International Standards, and with a desire to make certain improvements to the Evaluation Handbook, the Royal Aeronautical Society Flight Simulation Group has completed a major update to the book, resulting in the 4th Edition - Volume I only. Please note that Volume II is currently out of print. Copies of Volume I can be ordered here. This document, newly updated and written by contributors across the industry, is intended to ease and enhance the implementation of the International Standards as defined in ICAO 9625. The material is aimed at engineers and evaluators who are concerned with the background and content of a Qualification Test Guide designed to meet the ICAO Manual, which now have the full backing of the world's major regulatory authorities. This document is a companion to Volume I, and is primarily aimed at pilot evaluators. It details some of the techniques involved in the assessment of the Functions and Subjective Tests contained in the ICAO Manual. The Second Edition has been completely reworked and is designed to aid pilot and FSTD assessors/evaluators with respect to FSTD's designed to meet the new 9625 Edition 3 requirements.